Your Donation Feeds Hundreds Of Hungry Families in Hamtramck! Half the families in Hamtramck have incomes below the National Poverty Level. That's 1 of every 2 people at risk of going to bed hungry tonight. With the click of a button you can feed them today! "I'm hungry Momma." 6 year old Darren said to his mother, Casandra. She looked at me broken-heartedly, and said, "I can't feed all four of my children on $1.48 per meal from my Bridge Card." Rahah, mother of five, told me, "In order to make sure all five of my children eat every single day, I only eat every other day." These are just two examples of the magnitude of the hunger in Hamtramck where 1 of every 2 people are at risk of going to bed hungry tonight - or putting their child to bed hungry. You can change that so easily! 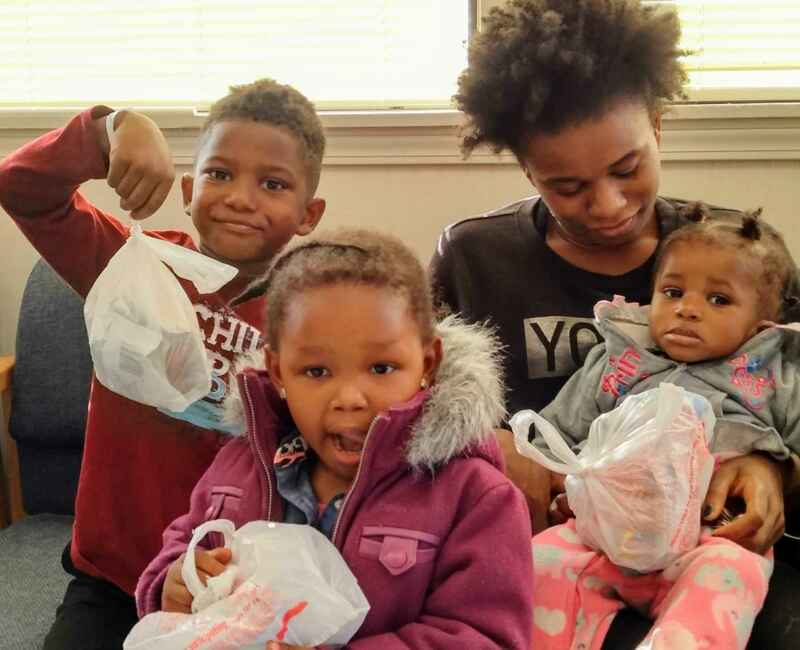 Your tax-deductible donation enables Detroit Friendship House to provide Casandra and Rahah milk, bread, eggs, yogurt, canned products, pasta, rice, cereal, fresh fruit, fresh vegetables, and about 20 pounds of meat every month. And we do this for hundreds of families every year! In fact, last year we provided over 600,000 pounds of food to our families. That's over 300 tons of food! Join Us in the Fight Against Hunger - because no mother should have to send her child to bed hungry!